Protein products have invaded the grocery shelves with powders, bars, and shakes. Some like yogurt and cereals even boast of their added protein content. But a new story by the BBC today states that most of us don’t need that added protein boost: “Some experts now argue that foods with inflated protein (and prices) are a waste of money.” While protein powders are intended to help build muscle mass, most of us non-body-builders don’t really need it. Nevertheless, a 2017 study found that “27 percent of Brits use sport nutrition products such as protein bars and shakes. This figure rises to 39 percent for those who exercise more than once a week.” But most of these bar fans can’t tell if the added protein is making any difference or not. On average, protein quotas should be in the 55g range for men and 45g for women, constituting “two palm-sized portions of meat, fish, tofu, nuts.” Kevin Tipton, a sport professor of the University Of Stirling, tells the BBC that “Most people get more than their daily recommended allowance from food. There’s no need for anyone to have supplements. They’re a convenient way to get protein, but there’s nothing in supplements you can’t get in food. 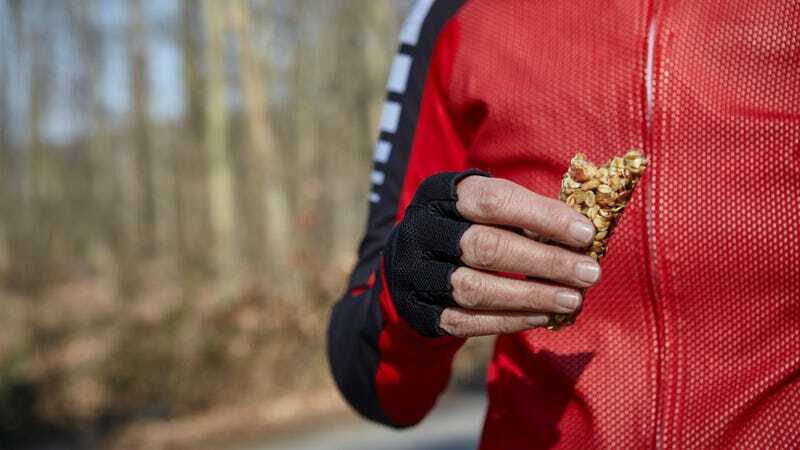 Protein bars are really just candy bars with a bit of extra protein.” Even if you do want to get extra protein, it’s better to consume it in food form, preferably alongside a carbohydrate. So you can toss those bars and powders out, and maybe just load up on some eggs and toast or meatloaf and potatoes instead.